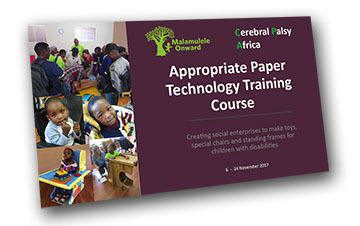 Last year Jean Westmacott ran a very extensive APT Training course in South Africa with Malamulele Onward. You can download her excellent photo report of the event here. In this last year CPA has made great efforts to become stronger as an organisation so that the work of the charity can be sustained into the future. 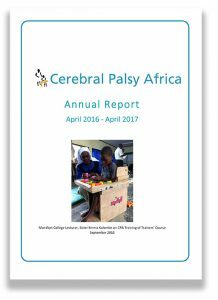 You can down load a PDF copy of our Annual Report for April 2016 to April 2017 by clicking on this link. Made by Purple Field Productions in association with CPA, “The Time is Now” is a moving film that explores the benefits which can be derived from physiotherapy for children with cerebral palsy, and which opens our eyes to the desperate need for an increase in these services within Ghana. From Kenya comes the latest drama produced by Purple Field Productions using local people and knowledge surrounding the difficult issue of the stigma attached to disability - in this case cerebral palsy.